Inamuragasaki is a small, quiet, charming surf town within Kamakura with a population of about 3,400 residents. Inamuragasaki has beautiful nature for both the coast and mountain side, even within this small town. Located along the ocean between Enoshima Island and Kamakura station, actually about 4 km away from each of them. Inamuragasaki locals live even more slow and relaxed life then other areas in Kamakura due to its unique atmosphere. and a few grocery shops including Seven Eleven. It is said that Japanese surfing history started in Inamuragasaki. There are many surfers including famous professionals living in Inamuragasaki and many surfers come to Inamuragasaki to surf. 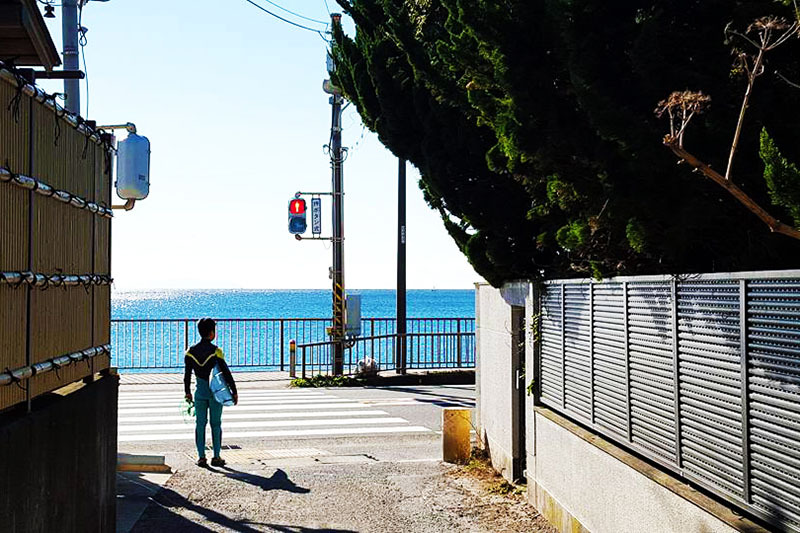 It could be the most famous surfer spot in Japan. Inamuragasaki holds “INAMURA SURFING CLASSIC INVITATIONAL” for international surfing competition when there is big enough wave for such a competition. Actually, it was just held in 2014 for the first time in 24 years. Such a surfer town creates somewhat of a slow life and relaxed atmosphere, like Hawaii. 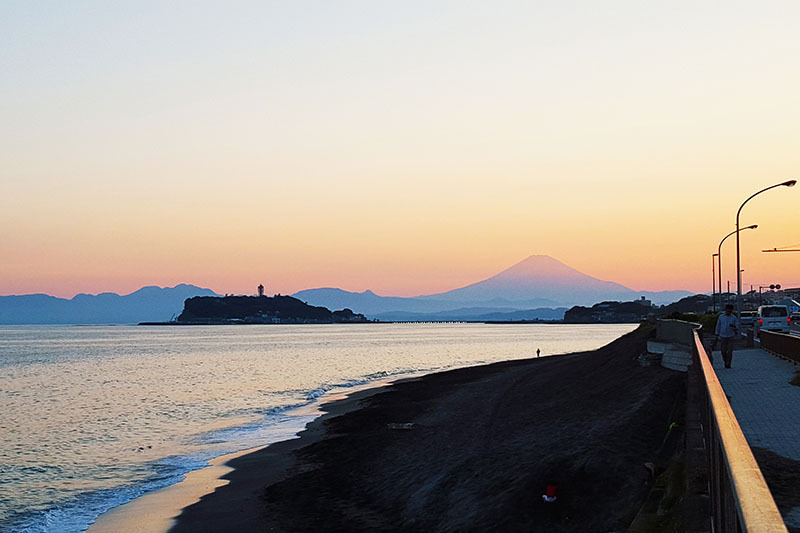 Since Inamuragasaki is surrounded by mountains, ocean and Inamuragasaki cape juts out into to the sea, Inamuragasaki Park on Inamuragasaki cape facing to Southwest, it is the best spot to see the sunset over Mt. Fuji with coast side and Enoshima Island in view. This beautiful spectacular sunset is considered symbolic within the seaside area called “Shonan Area”. By the way Shonan Area has been the most popular beach resort area in Japan for years. There are a few restaurants in Inamuragasaki from which you can enjoy this wonderful view. In "ENJOY KAMAKURA", Kina Village would like to share with you how other people enjoyed Kamakura. We will introduce specific activities including seasonal features, events and other pertinent information so you to enjoy in your own way and introduce real daily life. A variety of flowers bloom and leaves turn fresh green. Local residents enjoy cherry blossoms and tourists come to Kamakura for Hydrangea viewing. 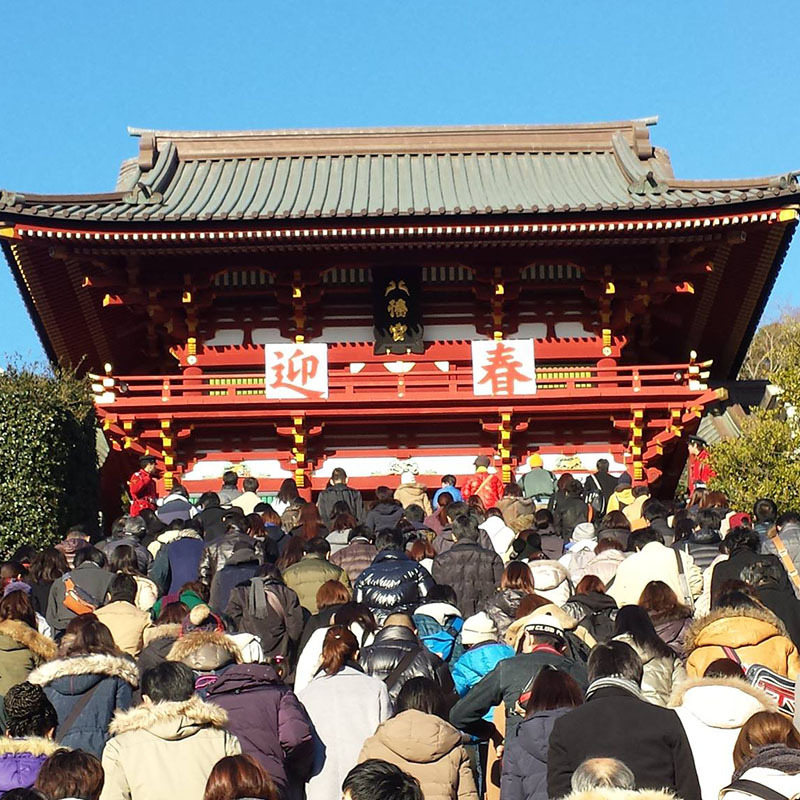 This is a good season to visit Temples & Shrines and explore Kamakura by hiking and walking. Visitors come to Kamakura to enjoy the beach. Beach houses are open only for summer. 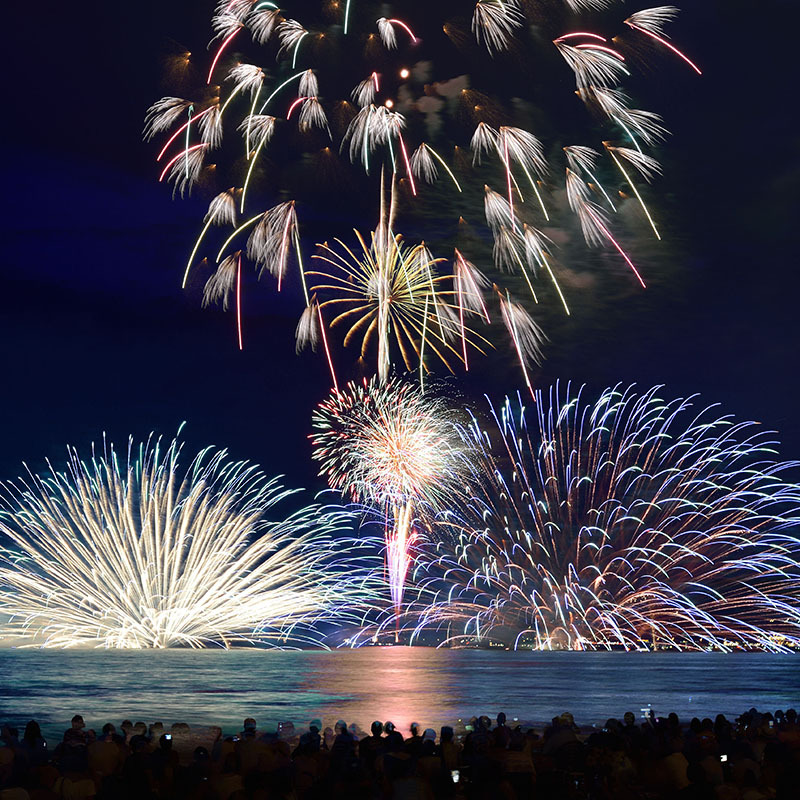 We also have traditional Japanese festivals and a well-known firework festival. Good season to eat fresh Whitebait. 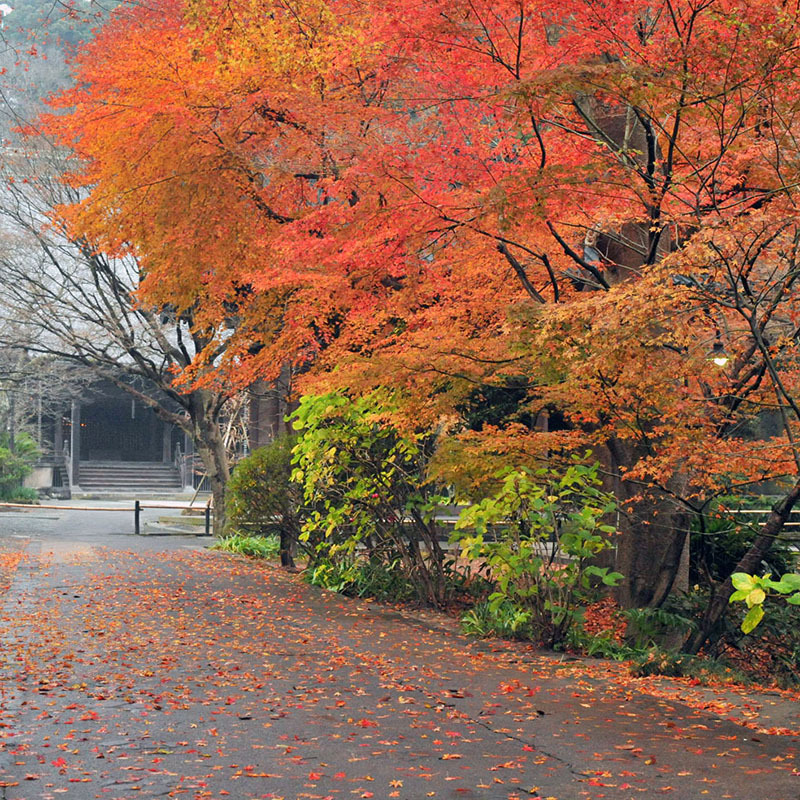 With the pleasant weather and autumn colored leaves it is great season to enjoy visiting Temples & Shrines and hiking trails. With less visitors and clear sky it would be a good season to appreciate views and atmosphere. 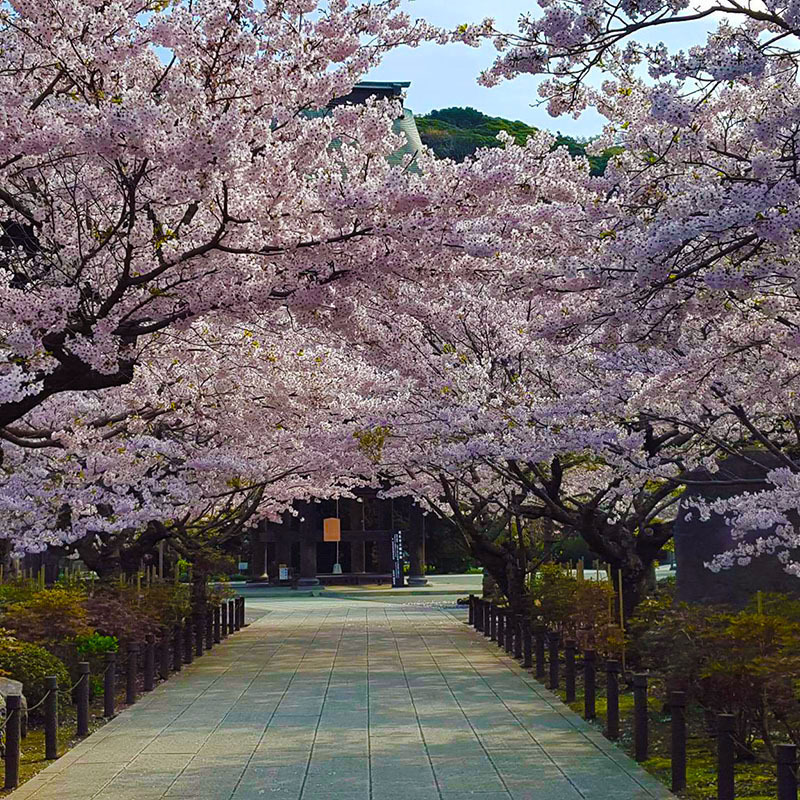 Kamakura has a lot of beautiful plum blossoms in late-February to early-March.